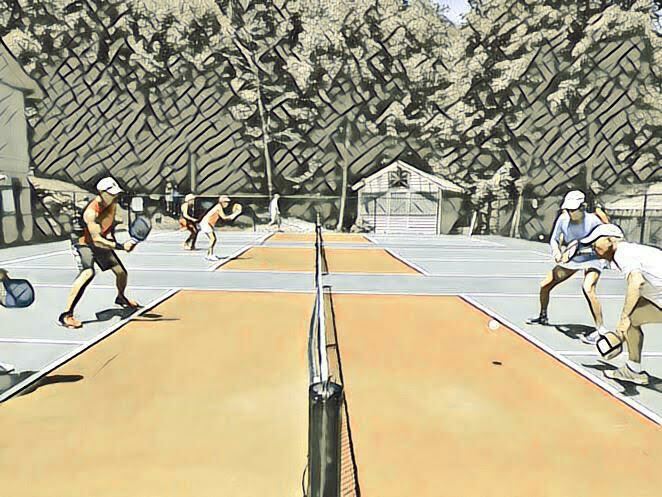 Beech Mountain Club is hosting a regional Retreat for Pickleball Ambassadors of North Carolina, South Carolina and Georgia on June 25-28. Ambassadors are individuals who have pledged to promote and grow pickleball in their area. These hard-working folks do not get paid. They do this for the love of the sport of pickleball. Beech Mountain Club is putting together this retreat so the Ambassadors in this region can gather to share best practices for growing the sport, participate in breakout sessions to learn new ideas, build camaraderie and, of course, play Pickleball. The Retreat is an all-inclusive 4-day 3-night event which will allow the 50 participants a chance to visit beautiful Beech Mountain and experience what the mountain has to offer its residents. On the local front, the Pickleball Center is gearing up for another spectacular season! We have put together a schedule of Beginner Clinics, Intermediate Clinics, Round Robins, League Play, Men's Only Play, Women's Only Play, and fun social events for Beech Mountain Club members, their guests and qualified renters. Drop by the Pickleball Center to pick up a copy of the schedule today!